Even if you haven’t heard of rising country band Old Dominion, chances are you’ve heard a track or two that one of the members have written. Does “Say You Do?” ring a bell? Or “Ex To See?” Old Dominion is Matthew Ramsey (Lead Vocals, Guitar); Brad Tursi (Lead Guitar, Vocals); Trever Rosen (Guitar, Keys, Vocals); Geoff Sprung (Bass, Vocals); and Whit Sellers (Drums). They’ve written for Dierks Bentley, Tyler Farr, Sam Hunt, The Band Perry, Dustin Lynch … and that’s just to name a few. Their own single, “Break Up With Him,” has been slowly climbing the charts and dominating Sirius XM’s “The Highway” countdown. 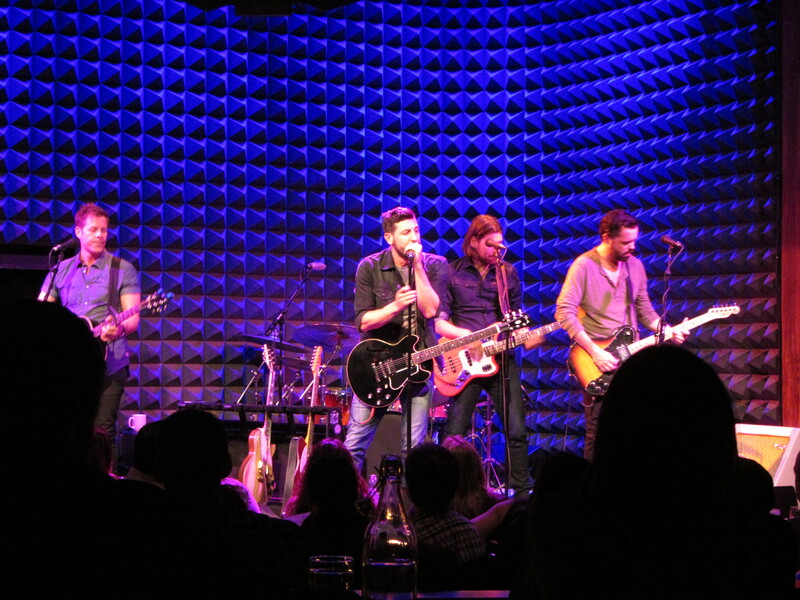 “The Highway” hosted two back to back sold out shows with Old Dominion at Joe’s Pub last night. We’re glad we got to experience the band live before they move onto bigger venues – like oh, Met Life Stadium in NJ? 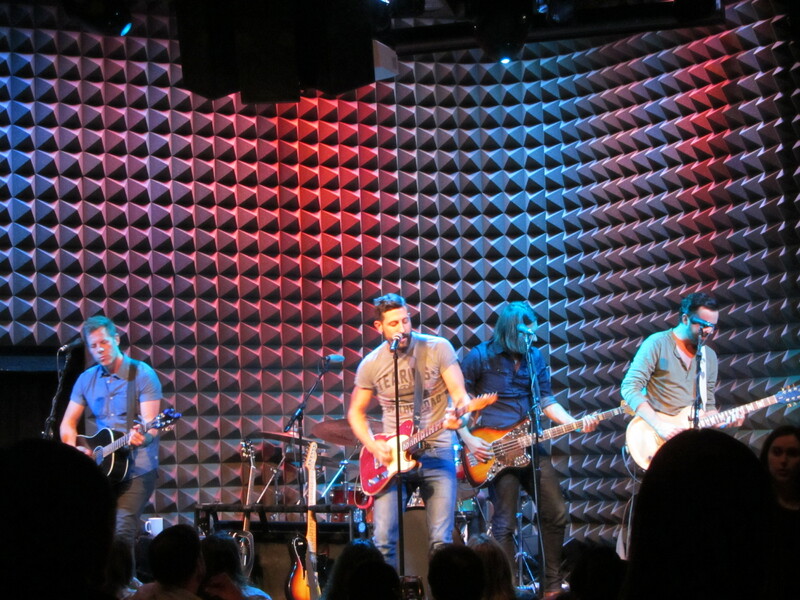 They’ll be playing there in August, opening up for Jason Aldean and Kenny Chesney on their Summer tour. We’ve heard people ask what’s happened to rock music? Well if you’re looking for it, country music is a good place to start. Old Dominion is a country act, but they sure know how to rock. Their set included a mix of material they have written for other artists, and tracks off of their EP, released earlier this month. 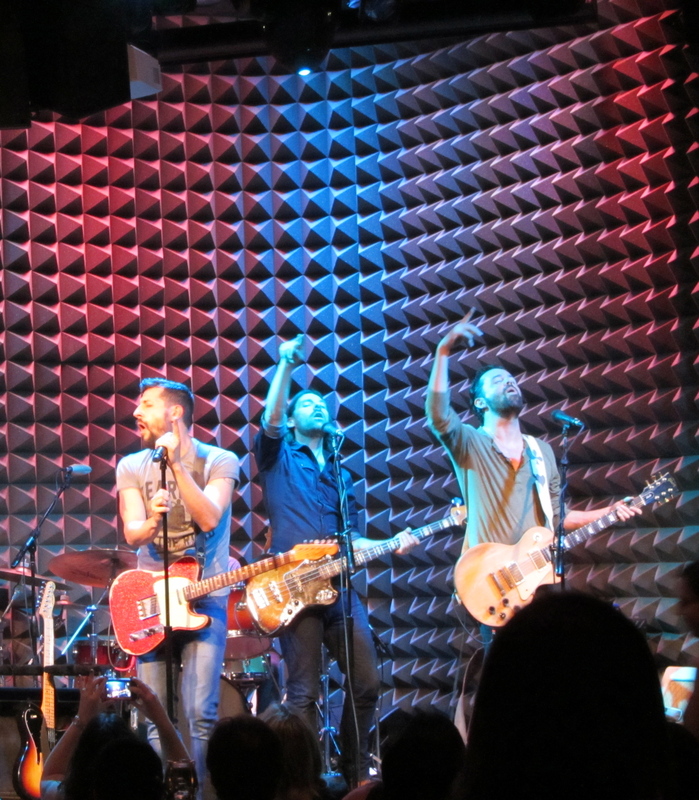 The band is incredibly energetic and fun to watch live, interacting with audience members and each other. It’s nice to see a full country band as well, with each member bringing something different to the table. Pickup a copy of the Old Dominion EP on iTunes or Amazon now! Head over to OldDominionBand.com to check out their upcoming tour dates. If they’re playing in a small venue near you, we highly suggest checking them out while you have a chance! Watch them perform “Break Up With Him” below. Be sure to follow Old Dominion & Secret Fangirls for more updates!